It’s becoming a tradition to quote myself from the last review and show how wrong I was, and this is no exception (and no, I’m not including the fact that I’ve ended up doing a batch of seven episodes rather than six, that was… actually avoidable, but it worked out better, so hooray!) So in the last batch I said I’d probably be talking about “six episodes focusing on the B-players again!”, but this turns out not to be the case, and in fact Goku ends up in a super-draining, multiple episode fight again, already! 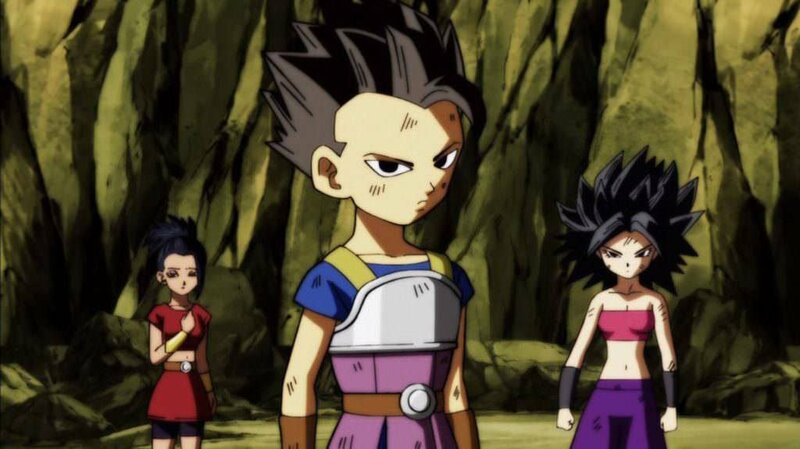 Also featured in the episode is Gohan and Piccolo ending up in a fight with two Universe 6 Namekians, showing that “our” universe’s twin has its own Namek, which makes sense as it has its own Saiyans and Earth as well. Goku, still recovering from his battle with Jiren, is saved by the super battle-hungry female Saiyan Caulifla, who wishes to fight Goku so she can get stronger (having learned Super Saiyan 2 from their last battle earlier in the tournament). This leads to a four-episode fight between Goku and the female Saiyan pair of Caulifla and Kale. Episode 118 sees Gohan and Piccolo’s fight with the Universe 6 Namekians (who by this point are the last hope for Universe 6) wrap up while simultaneously Goku and the two Androids finish off the last three members of Universe 2. The Namekians are interesting; they are so powerful because a whole bunch of Namekians fused with them (the same method Piccolo used to get stronger back in the Frieza arc when he fused with Nail) in order to help defend their universe, which makes sense and is a good twist. 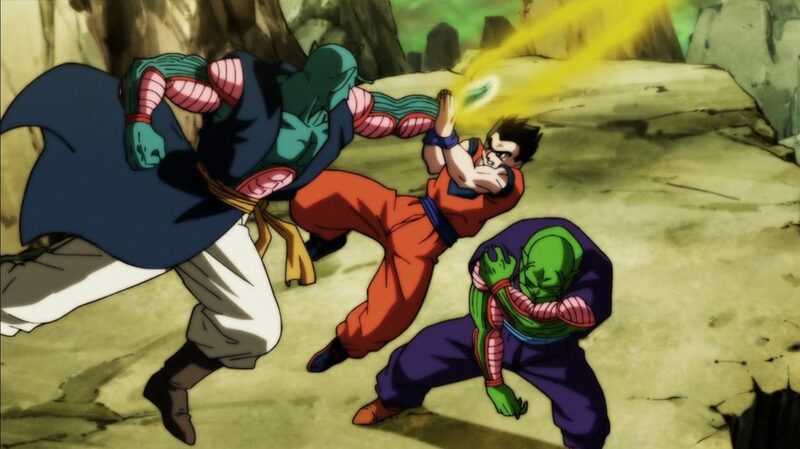 Also there is a scene where Piccolo is seemingly about to be killed (though given the ‘no death’ rule in the tournament, I guess he was about to be seriously hurt) by a large blast, only for Gohan to step in the way and block it, the angle used specifically calling back to Piccolo’s infamous sacrifice to save Gohan way back during the Saiyan arc of Dragon Ball Z. Episode 118 is another one of those brilliantly animated episodes you get from time to time, and the ending is really“shot” and pumped full of great music. You get a proper “rush” from the over-the-top action. 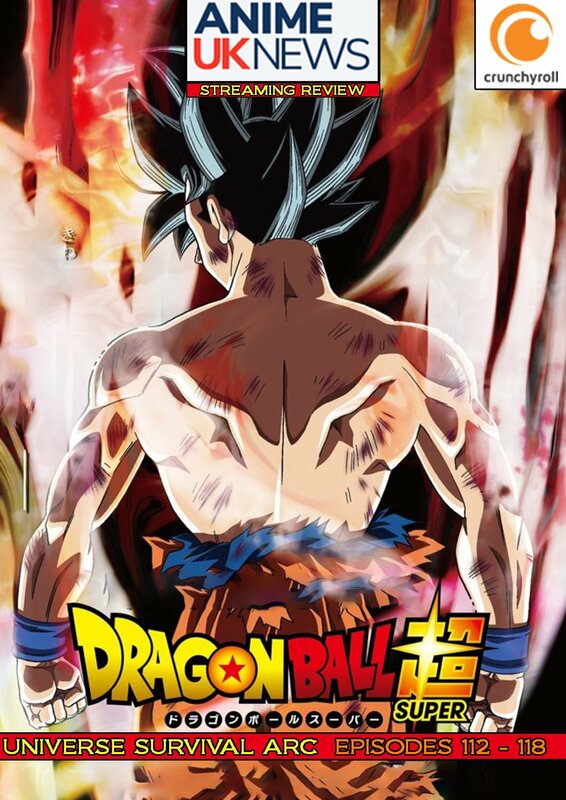 So there we are, seven more episodes into the Universe Survival Arc and we’ve had another fantastic fight, some more great callback scenes, fluid and excellent animation, and things are finally starting to come down to the wire, though there are still a lot of “our” universe fighters remaining, as well as several key threats (like Jiren) and a bunch of fodder. 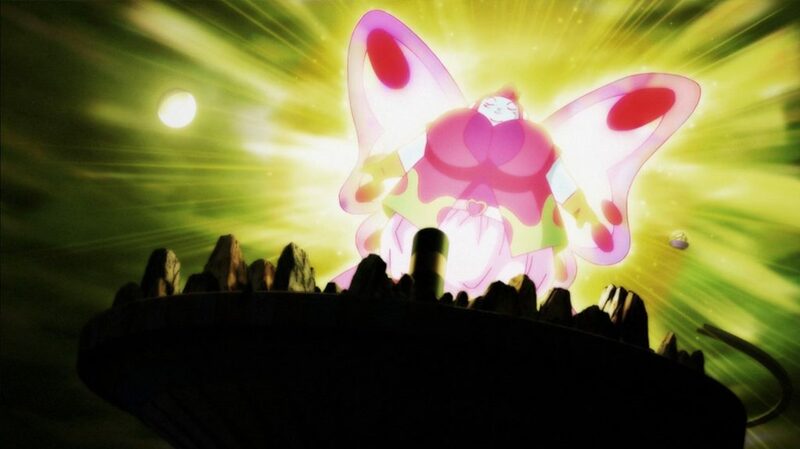 In a recent interview with the producers they let it slip that the arc is ending in March, so there is still quite a bit to go on this bizarre multi-versal extinction story! Basically, for wall-to-wall shonen action without having to worry about plot, you can’t get better than this.